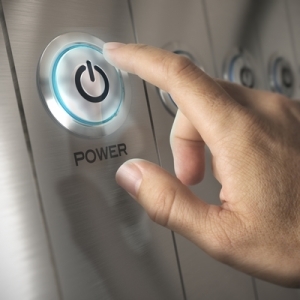 Sometimes it may seem like all we talk about is backup power supply but there is a reason – when it comes to data centers, a reliable and effective backup power supply can make or break a facility. Yes, it is that serious. Downtime can create a nightmare for clients and, if even for a short time, can be very costly. Because downtime is often preventable and the result of human error it points toward a need for better maintenance and management of backup power supply. Redundancy is key and with a knowledge of your location’s specific needs you can see how to best provide redundancy 24/7. Slowly but surely, more and more data centers are recognizing that servers should have batteries built in. Data centers are forever on a quest to increase energy efficiency while maximizing uptime and it seems that servers with batteries kills two birds with one stone. Each server can be equipped with a built-in battery pack that eliminates the need for big uninterruptible power supplies that are far less efficient. Built-in server batteries can also help reduce conversion losses. Energy losses during power conversion can create a number of problems and built-in batteries help solve the problem by eliminating the risk. Data Center Knowledge explains how savings can be achieved in a variety of ways and efficiency dramatically improved, “Facebook says it expects to gain similar efficiency benefits, reducing the energy loss during power distribution from the current 35 percent to about 15 percent. The company said it can lower its power bill by simplifying how electricity travels to its servers. In most data centers, a UPS system stands between the utility power grid and the data center equipment. When there is a grid outage, the UPS taps a large bank of batteries (or in some cases, a flywheel) for “ride-through” power until the generator can be started. The AC power from the grid is converted into DC power to charge the batteries, and then converted back to AC for the equipment… yield enormous savings on equipment purchases. “You no longer need to buy a traditional UPS and PDU system,” said Michael. “On the capex side, it’s a huge win. This can save millions of dollars that you no longer have to spend on a UPS system. We hope to see the industry move to a model like this.” Facebook’s enormous growth is clearly giving it leverage with its vendors, which are working with the company as it customizes its equipment. An example: typical servers use 208 volt power to the servers. Most power supplies can also support the 230 volt and 240 volt configurations now being implemented to capture extra efficiency.” Facebook and Google have actively implemented servers with built-in batteries and with such enormous data centers proving how effective it can be it has other data centers taking notice and making the shift.